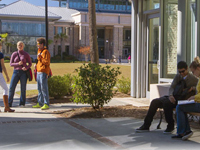 Through the Office of Community Outreach, USCB brings its educational resources to the Lowcountry. Community Outreach’s vision is to create an institute to serve as a center for lifelong learning for all people of the Lowcountry. Full of Southern charm, Beaufort serves as an ideal place for relocation or retirement. Beaufort has many businesses that can make your relocation easier and help you ease into life in the South Carolina Lowcountry.